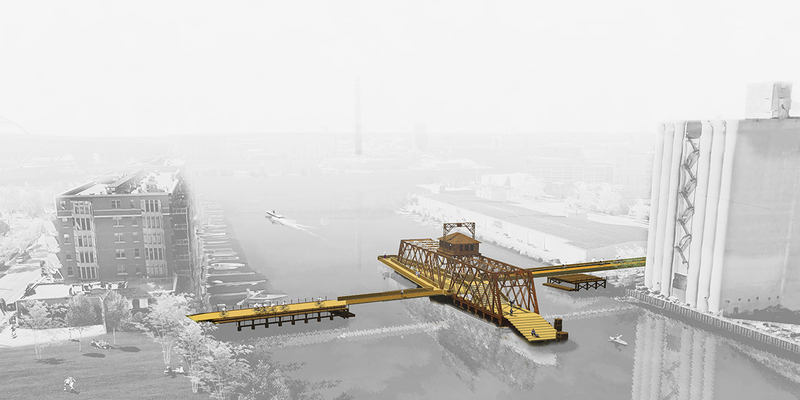 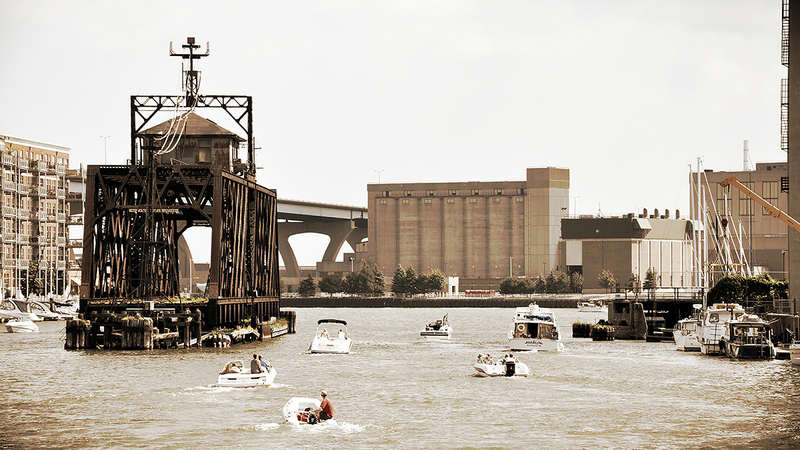 Jury comments: This project proposes to bring life to a derelict 100-year-old swing bridge on the Milwaukee River. 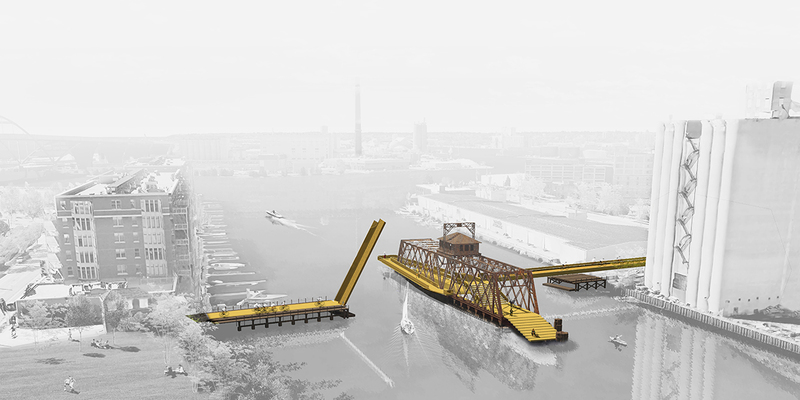 Frozen in midswing, the bridge is accessed now by two pedestrian drawbridges from each side of the river. 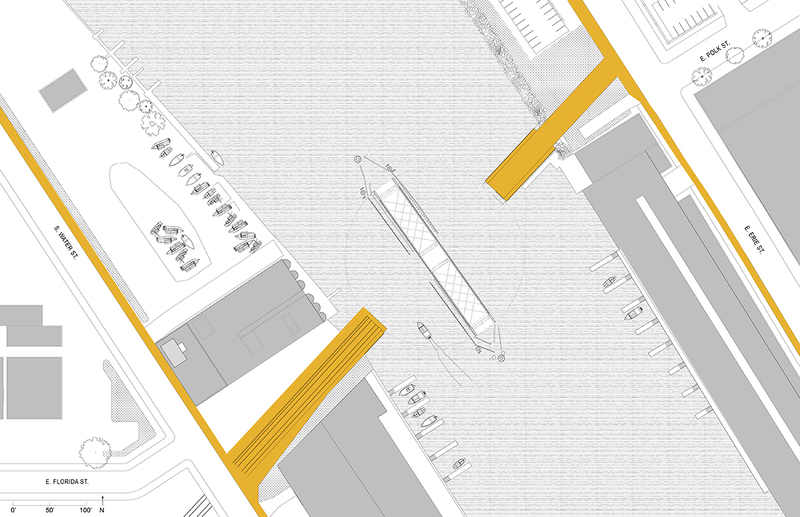 Once on the bridge, one finds a meandering ramp that traverses the length of the bridge and terminates at an amphitheater. 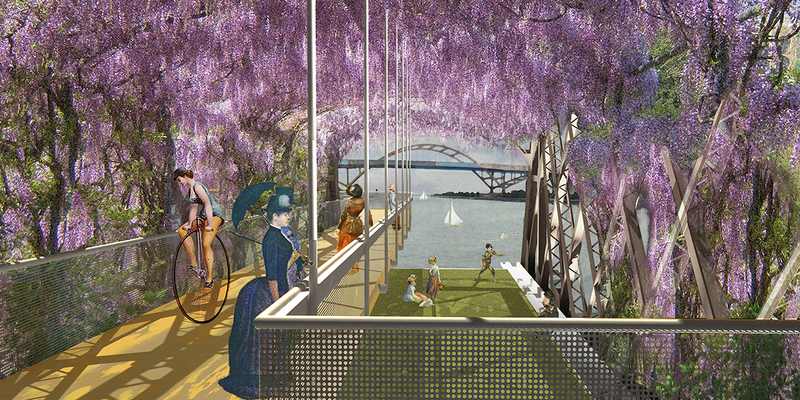 Enshrouded in wisteria, the bridge is convincingly transformed into an urban park. 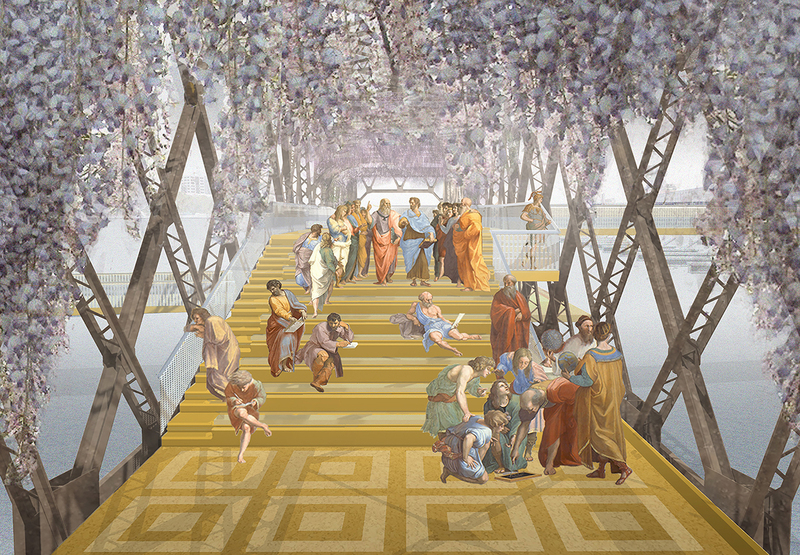 The jury felt that even in the winter, when the wisteria is no longer in bloom and the gnarled vines are seen entwined around the steel frame of the bridge, nature has taken control of the bridge. 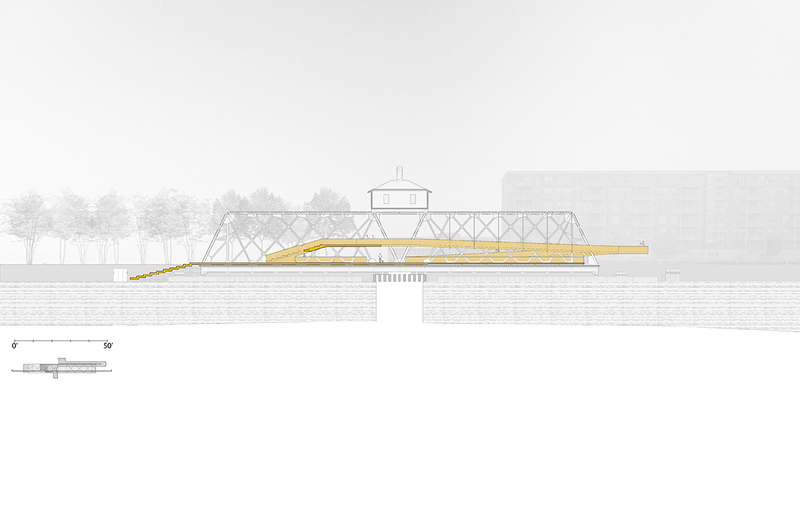 Instrumental in the concept of this design is the reference of this project being an architectural capriccio combining the urban ruin of the bridge with the architectural landscape fantasy created by this wisteria-wrapped structure. 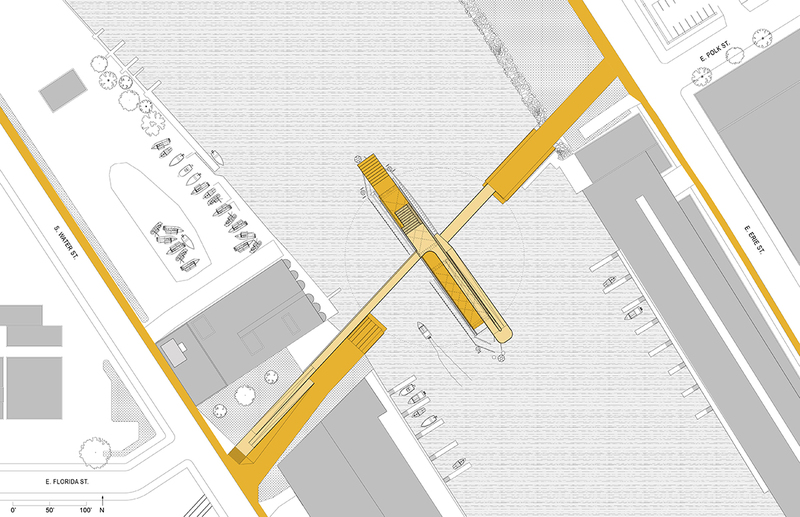 We observed that this project may have found inspiration from the High Line in New York City.